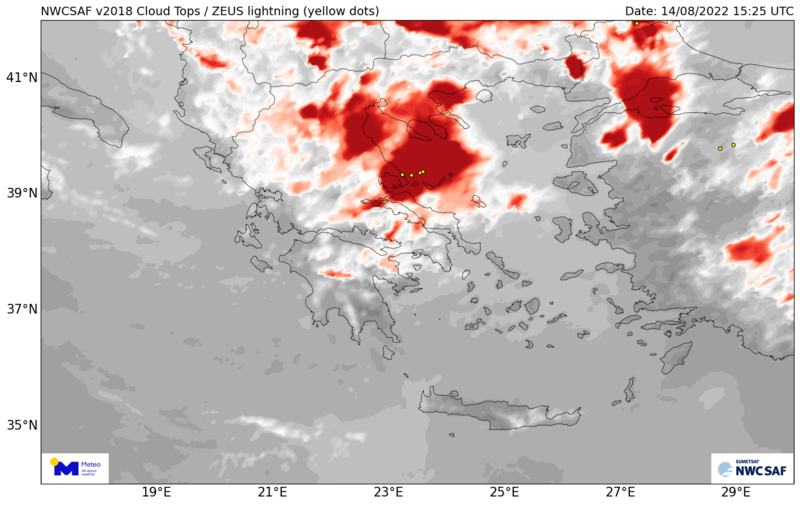 Cloud Tops and Lightning is a product computed by the National Observatory of Athens. It highlights the higher cloud tops and also marks the lightning strokes provided by the ZEUS VLF lightning detection network. Cloud Tops and Lighting is provided every 15 minutes, at the time of the satellite image.